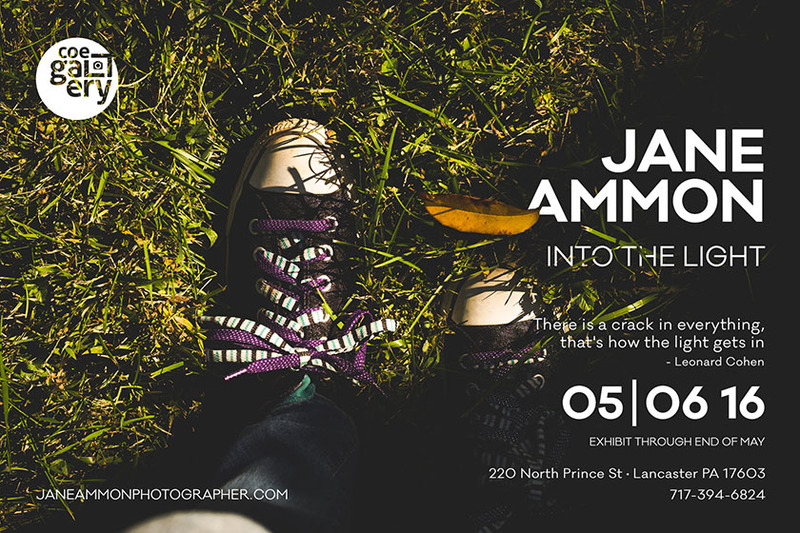 Photographer Jane Ammon is currently exhibiting an intensely personal project, “Into the Light” at Coe Gallery. Jane shares the story and images of women in her life and the ways they find light in their lives even when challenged by darkness. We took some time to recently to ask Jane some questions about this project, her sources of inspiration, and her photography. My husband was the first one in our family to pursue photography. Eventually, he grew tired of me stealing his camera so he bought me a DSLR in 2005. When did you know you wanted to be involved in artistic pursuits? I was working a full time job as a speech language pathologist and all I could think about was creating and making incredible images and art. My job was making me extremely unhappy so my husband suggested I quit. I happily agreed and have not looked back. What photographers do you admire or whose works have influenced your own? I love Ryan Muirhead, Vivian Maier, Jaleel King, my best friend Lisa Novitsky, Anne Simone, Kate T. Parker. I usually tell my husband or best friend “I have an idea….” And they know I’m about to dig deep into a creative endeavor. Usually I talk my idea out with those closest to me and then execute with gusto. What sparked your interest in the current exhibit subject matter? Two years ago I fell and broke my arm after having been through a life changing experience in Haiti the month before. These two events caused me to refocus my life and learn to always be living in the present moment finding light even in my darkest hours. As a listener, women have always shared their stories with me. I felt called to share their stories through a personal project which may, in turn, inspire other women who may be feeling in the dark also. The tiniest little moments of life: laughter, falling leaves, sunsets, children’s laughter, children’s definance, cups of coffee with friends, music, faith when I least expect it. What are the biggest challenges you face with your photography? The “who do you think you are” demons. What do you consider a successful photograph? One that evokes emotion and fills others with light. If you had to choose one photograph to hang on your living room wall for the rest of your life, what would it be? I have it there already, it’s a photograph of my Dad, his two brothers and his father on the golf course taken 4 hours before my father was killed. It’s truly the last photograph of him. Jane will be giving an artist talk on pursuing personal projects at Coe Gallery on Tuesday, May 17, 2016. You can register for this free event here. You can find more information about Jane at her website janeammonphotographer.com.